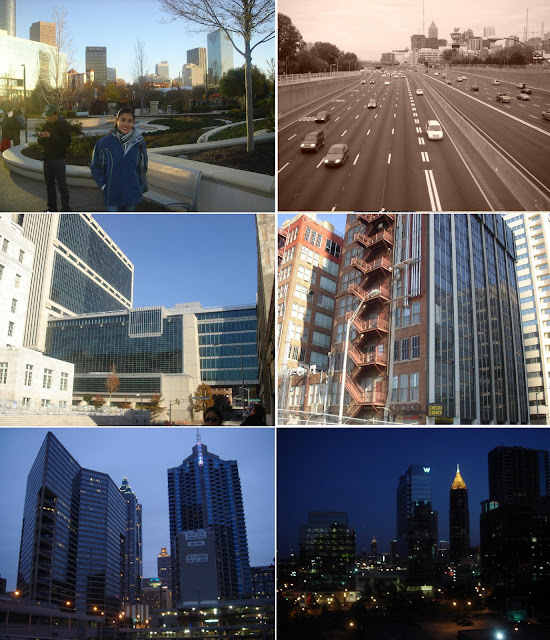 I've always wanted to visit Atlanta especially after hearing my other friends who had been there describing how nice it was. 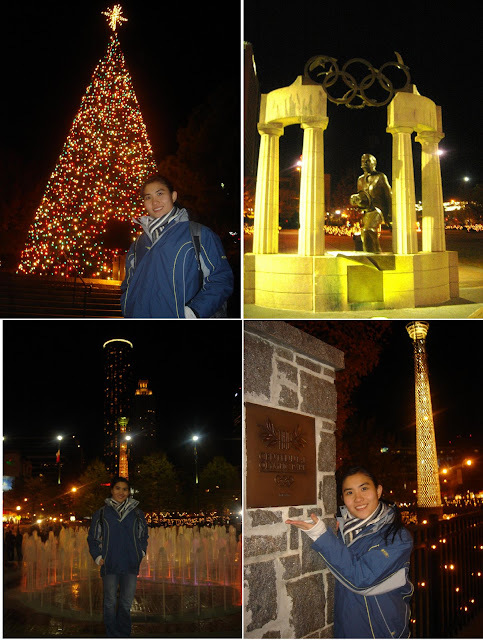 Well, Atlanta is considered quite near...4 hours away...just like Penang to KL. But it's still hard to travel around coz even traveling by bus is quite expensive. Cristina was the one who organized this trip and brought 8 of us sponsored students together. We started our journey on Saturday morning. Our international office advisors, Ms Anita and Dr Pottenger fetched us all the way there and treated us lunch at a Mexican restaurant before they head back to Huntsville. None of us had any idea where we wanted to go, but luckily our hotel was situated in downtown so we spent most of the time just walking around. 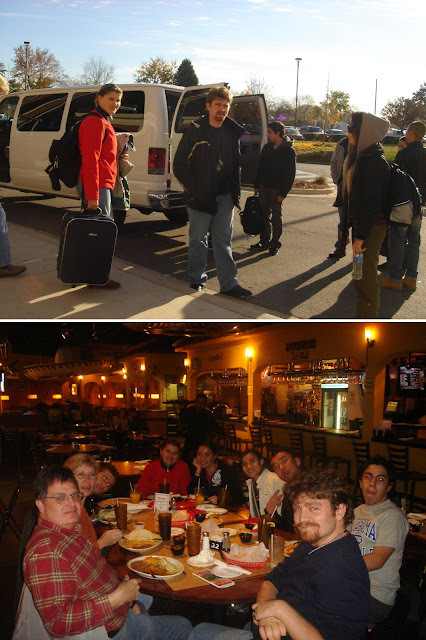 Getting ready to depart & enjoyin' lunch at Mexican restaurant. P.S. I'm not a fan of walking so walking non-stop for 3 hours is considered a HUGEEE achievement for me...hahaha!! 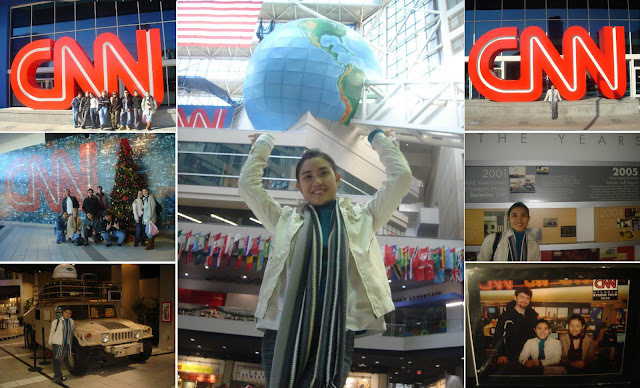 "I've got the whole world in my hands..."
Watching the news and seeing what's going on in other parts of the world makes me realize how fortunate I am to live in a peaceful country and not having to worry about the necessities in life. 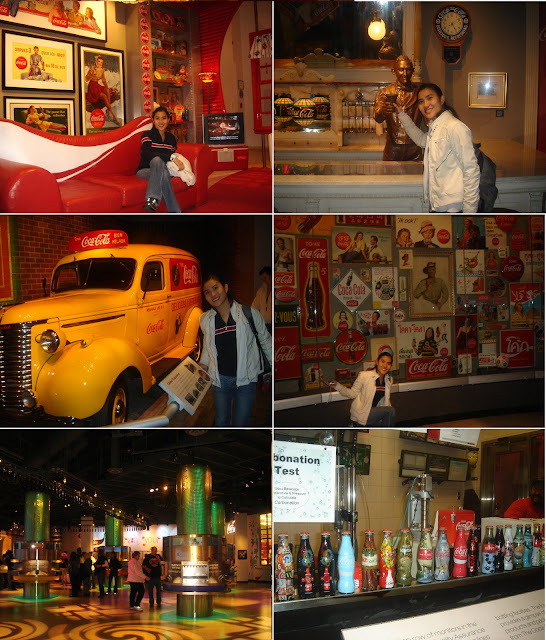 World of Coca Cola...lots to see...lots to drink!! 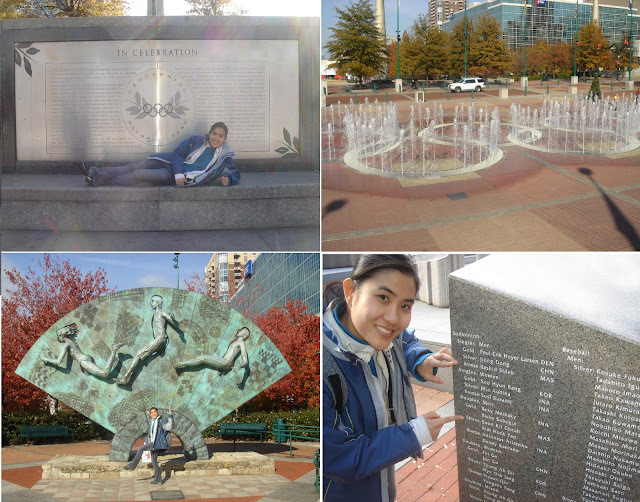 I don't have much memory about the 1996 Olympic which was held in Atlanta. I was only 9 yrs old back then. It has been more than 10 years since the game but at least they still maintain this park as one of the tourist attractions. Our hotel was located just 2 blocks away from this park so it was convenient for us to walk here. I found Rashid Sidek, Cheah Soon Kit & Yap Kim Hock's names!! I knew exactly which sport to look for Malaysian winner...haha!! As I mentioned earlier, we did quite a great deal of walking during the trip. We walked to the bus terminal to get our tickets on Sunday morning at 9am. The streets of Atlanta are usually busy but not on Sunday morning. The streets were almost deserted and all we saw was some homeless people. We all encountered some gethos yesterday so it was kinda scary to walk on the quiet streets, luckily there were 8 of us walking together so not too bad. 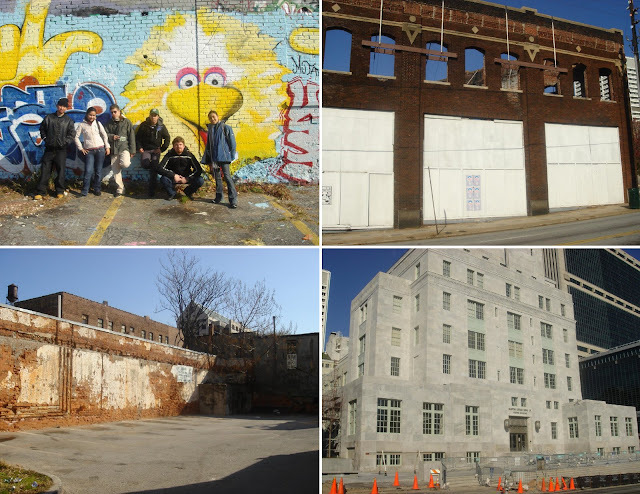 Usually, we only visit tourist attractions when we travel but this time, it is really an eye-opening experience to see the 'other' side of Atlanta. 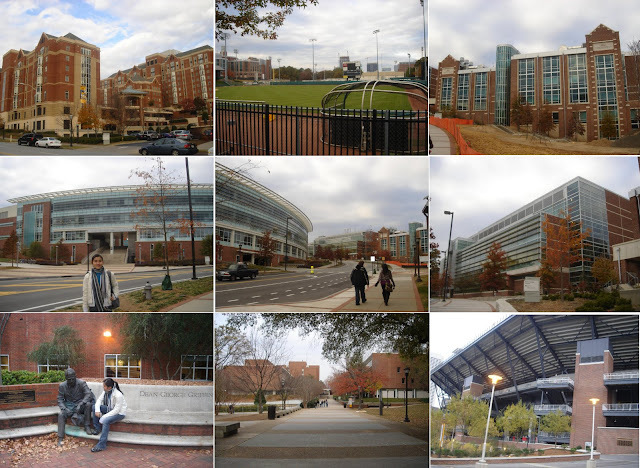 No matter how developed a place is, there's certainly still a portion of people who's left behind. If given a choice, nobody wants to live a life like this or become gangsters, but the society is imperfect. Westin is one of the tallest building in downtown Atlanta. Of course, we can't affort to stay there but Emil & Jose managed to find a way to go to the top floor which was their revolving restaurant. After dinner at a chinese restaurant, we 'sneaked' into the hotel and got to the top floor. 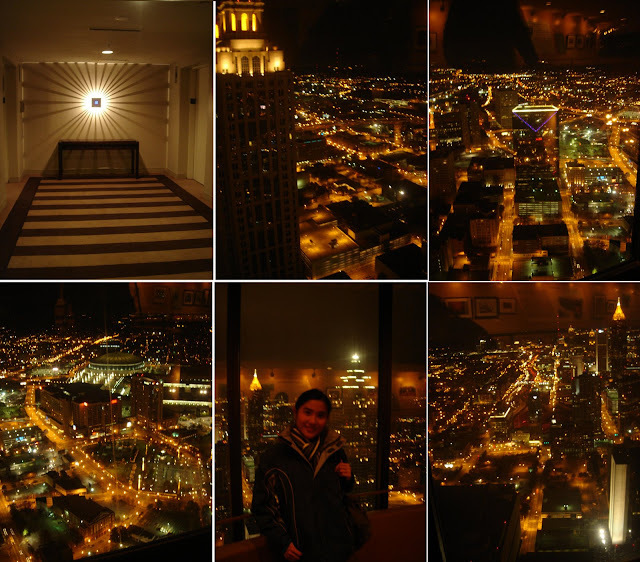 I was amazed by the picturesque night view from the top!! The whole city was lit up and it looked completely different from the ground. That was totally awesome...what a good way to end our trip!! 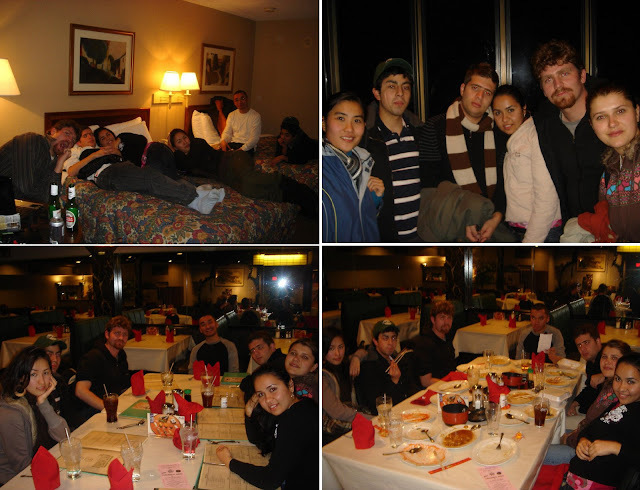 This was the first time 8 of us traveled together on an overnight trip. 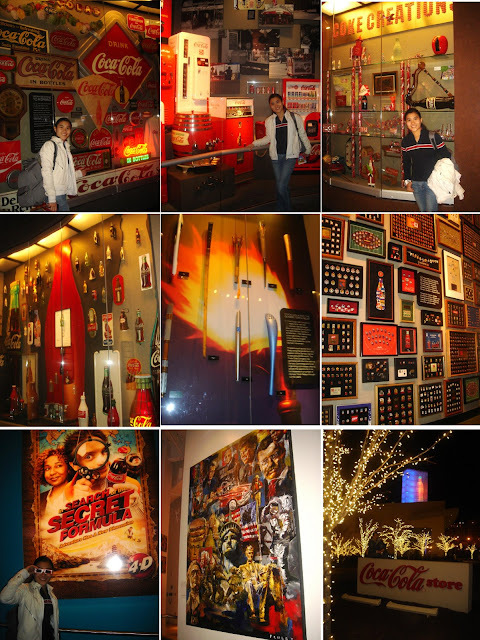 It was tiring and 'adventurous', but overall, I enjoyed the entire experience. 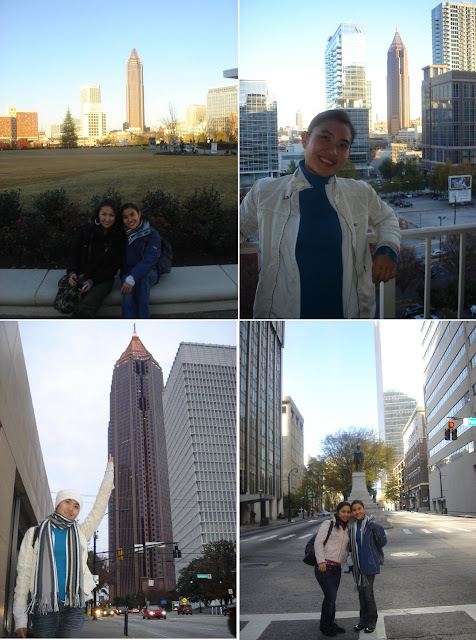 I was a bit dissapointed though coz I was expecting a bit more from Atlanta. Maybe it used to be nicer in the past especially right after the Olympic, but its glory seems to be fading now. Guys...I enjoyed the time spent with ya'll!! Hope we'll have chance to travel together again!